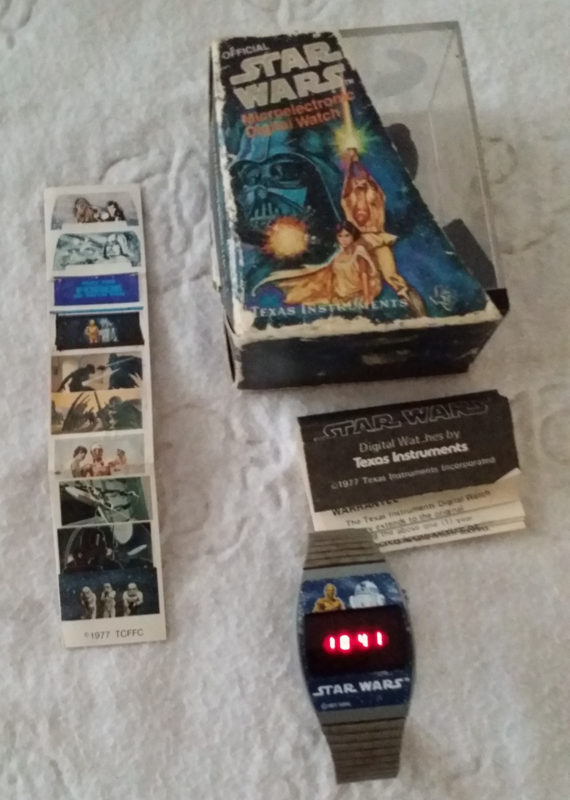 Christmas of 77 or 78 my parents bought me a Star Wars digital watch and it was AWESOME! I broke it within a week and lost it in my room never to be seen again. Today I got it back and it is still AWESOME! This entry was posted in Geek, Star Wars and tagged Star Wars. Bookmark the permalink.